The year-long scheme – launched today – will offer three talented women who wish to pursue a career in technology a £25,000 bursary, communications training and mentoring, as well as access to Sky’s expansive technology network. Each of the winners will be paired with high calibre mentors who will guide them through the scheme and support them as they develop their skills and pursue their individual projects. 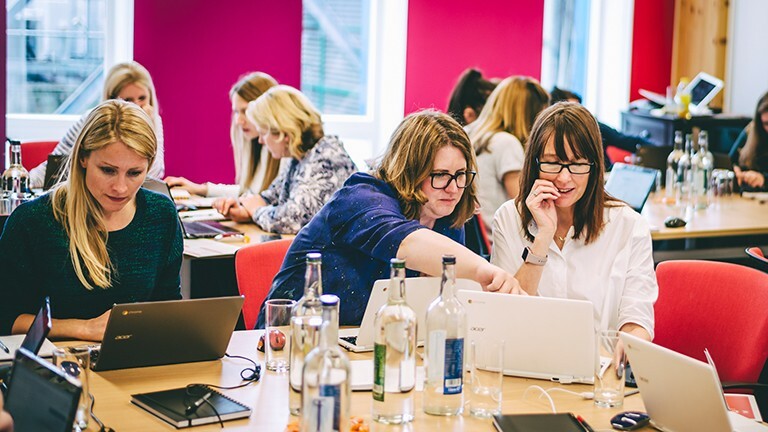 The Women in Technology Scholars scheme is the latest grass roots initiative that Sky has launched to help encourage more women to pursue careers in technology. Research shows that women represent just under half of the UK’s workforce1, but only one in every six of the STEM workforce are women2. Given the significant lack of gender diversity within the technology world, both this new scheme and Sky’s Get into Tech programme aim to provide a unique and supportive environment in which women can learn and hone skills needed for a successful career in this field. Sky’s Get into Tech initiative launched in March last year has already helped over 100 women with little or no previous technical experience to learn some of the skills necessary to begin a career in software development. Jeremy Darroch, Group Chief Executive, commented: “This is all about giving young women with a passion for tech a real chance of reaching their full potential. Applications for the Women in Tech Scholars scheme are open to all women aged 18-25 who demonstrate a passion for technology and a strong commitment to build a career in the media and entertainment industry. Their interest can be across any field of technology, such as: software development, broadcast engineering, AI and machine learning, robotics, digital, innovation, but should be relevant and relatable to Sky’s business. The scholars will be selected by a panel of judges who are experts in the industry; between them they have over 90 years of experience in the technology and education sectors. All of them have a passion for technology and to see women fulfil their potential. This scheme follows on from the successful Sky Sports Scholars programme, which is now entering its third cycle of supporting and funding young athletes. This year the scheme is expanding outside of the UK and Ireland to include Italy and Germany, with 14 places available. Sky’s scholarship programme is part of Sky’s Bigger Picture, an initiative that focuses on investing in the next generation. The deadline for applications is 31st October 2017.